A charming, authentic alpine village and ski resort, Les Diablerets is known for its traditional mountain dwellings, adventure sports and excellent ski runs. It takes its dramatic name (after the French 'le Diable', meaning 'the devil') from the Diablerets Massif which towers up behind the village, and was once feared. Whilst a spot of bravery wouldn't go amiss for some of the trickier ski slopes today, fear has been entirely banished in favour of adventure sports, fun, and lively cultural festivals. With plenty to do come winter or summer, and breath-taking views all year round, Les Diablerets is the perfect place to snap up a picturesque holiday property of your own. Buying a property in Les Diablerets is your ticket to a whirlwind of opportunity – at least, if you enjoy adventure sports. It's one of the best places for sporting enthusiasts in the region, with perfect, powdery snow, skiing and snowboarding slopes galore, and a number of activities on the massive Glacier 3000. In summer, walking and cycling are popular, and visitors flock to the Peak Walk, the world's only peak-to-peak suspension bridge, and the thrills and spills of the Alpine Coaster roller coaster ride. The biggest draw here, however, is the area's skiing. Winter season runs from October to May, and during this time, the high alpine landscape (between 1,343 and 3,016 metres high) is at its most magical. 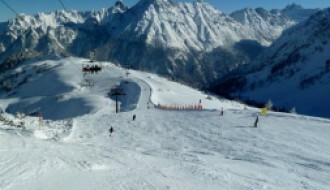 There are three main areas, spanning thirty kilometres of ski and snowboarding slopes, suitable for a range of abilities. 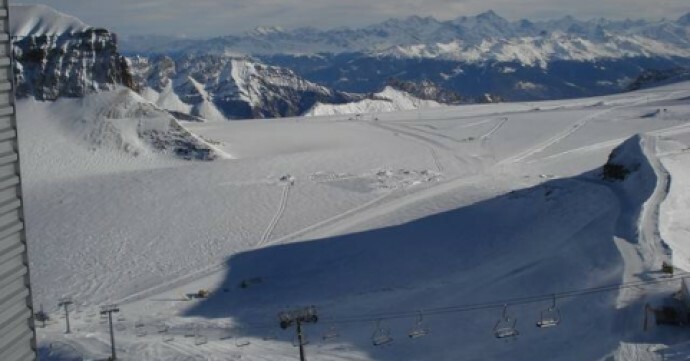 The village has a ski school, an exciting Snow Park, and a total of twenty-three chairlifts to hoist skiers up to the pistes, which have been updated with recent investment into the resort. Planned investment in the area looks to future-proof the mountain's popular south-facing slopes by installing environmental protections. 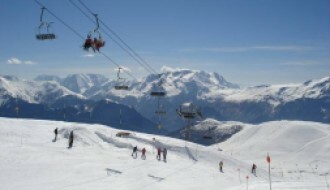 With especially good slopes for beginners and improvers, it's a very family-friendly location. It's also set to host the Winter Youth Olympics in 2020. As well as world-class snow sports, Les Diablerets also has a cultural side. It's home to classical music, at the Music and Snow Festival (held between January and March), and folk music, at the Festival of Swiss Folk Music (held in October). 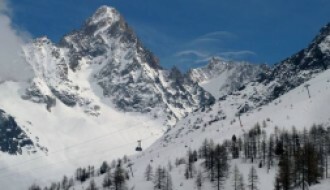 Cinephiles are catered for at the Festival International du Film Alpin, which showcases environmental films and those that feature mountainous regions (held in September). In July, the night (and day) comes alive with music, bars, entertainment, performances, games and activities at the riotous Nuit des Diables. On a more permanent basis, the village is home to a small art gallery (Galerie La Hotte), one of only a tiny number of galleries in the French-speaking part of the Swiss Alps. It exhibits international artists, and also works to showcase craftspeople and artists from the local area. Just outside Les Diablerets, in the village of Vers-l’Eglise, you'll find the Musée des Ormonts, a museum which seeks to show the history of the area through an ever-changing roster of temporary exhibitions. Les Diablerets itself is known for its charming, traditional architecture. The overall climate of Les Diablerets is cold, thanks to its high altitude, with above-average precipitation. The coldest month is January, with an average temperature of minus 3 degrees Celsius and the warmest month is July, with an average temperature of 14.5 degrees Celsius. Snowfall is expected for three days per week and above throughout the winter season. Peak snowfall is in January, when there's an average of 36cm of snow per week, and the lowest snowfall of the season comes at the tail end of April (23cm per week). For up-to-date weather ans snow reports for the region, take a look at our Les Diablerets resort guide here. The region has some of the most spectacular views in the Bernese Oberland region, a thriving cultural life, and a wide range of family-friendly activities (including a toboggan run that's seven kilometres long). Its sunny, south-facing slopes are home to tourists and visitors year-round. Recent investment has focused on updating the area's cable cars, making it easier to access the glacier and activity zones. With a permanent population of 1,400, the area also fosters strong community spirit. Alongside the Swiss franc, Les Diablerets also uses an alternative currency (known as the 'Isenau'), as a way of raising funds for community projects, and investing into the local economy. Thanks to its popularity as a tourist destination, Les Diablerets is easily accessible through a number of routes. The closest airport is Geneva, a distance of 126 km and a drive of approximately one and a half hours. A number of bus companies also ply this route, with an increased journey time, but many people prefer to drive, so that they can more easily transport bulky ski equipment. It's possible to drive to Les Diablerets from anywhere in Switzerland, by taking the road that travels through Aigle, which is the nearest large train terminal, and you can change lines here to travel directly to Les Diablerets railway station.